Mohammed Al Muskati, director of Bahrain Youth Society for Human Rights has been charged and served with a notice to appear in court for breaching the 1989 Law on Societies. He faces 6 months imprisonment and a fine of 500 BD if found guilty. Bahrain’s controversial 1989 Law on Societies effectively restricts the activities of societies and dictates the parameters in which they must operate. The most affected organisations are those who criticise government policies and highlight various inequalities experienced by certain sections of the community due to the governments discriminatory polices. 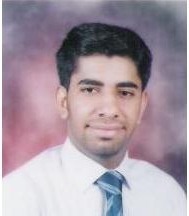 Mohammed al Muskati is the latest victim of the 1989 Law on Societies. Mr Al Muskati, 22, is falsely accused of establishing Bahrain Youth Society for Human Rights when the founding members were less than 18 years old. The law requires for the founders of any society to be over 18 years old. Mr Al Muskati and his colleagues were all over the age of 18 at the time of its formation. The basis of the charge is unfounded and is politically motivated. The Bahrain Youth Society for Human Rights have worked tirelessly campaigning for the marginalised and discriminated sections of Bahraini society, their work extends from protecting the rights of non violent political opposition to the Bahraini government onto the rights of women, children and those who are victims of human trafficking. Their website can be accessed via this link: http://byshr.org/. Numerous human rights organisations in Bahrain are working illegally due to the restrictions placed on formation and running of an organisation. It is unacceptable for a government to determine who can form civil societies and how these societies should be run. These laws allow the government to control political activity and opinions in Bahrain and silence those who the government dislikes by not allowing them to form societies and then prosecuting them when they do. In this way the government is able to control civil society, manipulate it and keep it subjugated. Write to the Bahraini ambassador in your locality urging them to drop the charges against Mohammed Al Muskati, end government intimidation of human rights activists and review the controversial 1989 Law on Societies. I am deeply concerned about the charges brought against Mohammed Al Muskati regarding the formation of the Bahrain Youth Society for Human Rights. Mr Al Muskati and the other founding members were accused of being underage when they formed this organisation; however this is completely baseless as they were all over the age of 18. Therefore they are not breaching the restrictions of the 1989 Law on Societies. The controversial 1989 Law on Societies imposes restrictions which affect the reliability, independence and truthfulness of information collected, therefore numerous organisations in Bahrain are forced to work illegally if they are to maintain these honourable principles. It is clear that this law needs to be reviewed in order to allow freedom of thought as well as protecting civil liberties and maintain a good working relationship between the government and its citizens. The government intimidation experienced by human rights activists in Bahrain is frequently reported and publicised. This law legitimises this intimidation although in the long term cannot achieve the censorship it seeks, since people are not afraid to voice their opposition to repressive and discriminatory treatment, even if its at the cost of their own freedom and safety. I urge you to drop the charges against Mr Al Muskati because they are baseless and are politically motivated. This reflects poorly on the international image of Bahrain and its government.